Cause of Death - According to Renaissance biographer Giorgio Vasari when reminiscing about Andrea del Verrocchio untimely demise "So he mended hist model, and cast it in bronze; but he did not perfectly finish it, for being heated in casting it, he caught a chill, of which he died in a few days." 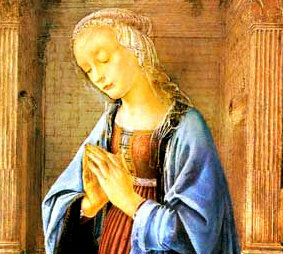 John C. Van Dyke, describes the artist "Verrocchio was more of a sculptor than a painter, but in his studio were three celebrated pupils—Perugino, Leonardo da Vinci, and Lorenzo di Credi—who were half-way between the Early and the High Renaissance. " Walter Pater author of The Renaissance: Studies in Art and Poetry, describes the artist"Verrocchio was an artist of the earlier Florentine type, carver, painter, and worker in metals, in one; designer, not of pictures only, but of all things for sacred or household use, drinking-vessels, ambries, instruments of music, making them all fair to look upon, filling the common ways of life with the reflexion of some far-off brightness; and years of patience had refined his hand till his work was now sought after from distant places." As a Florentine, Andrea del Verrocchio, was surrounded by art, music, social intrigues, political scandals, beauty, grand architecture and philosophy. Accorfing to author John C. Van Dyke "The Florentines were draughtsmen more than colorists. The chief medium was fresco on the walls of buildings, and architectural necessities often dictated the form of compositions. Distemper in easel pictures was likewise used, and oil-painting, though known, was not extensively employed until the last quarter of the century. In technical knowledge and intellectual grasp Florence was at this time the leader and drew to her many artists from neighboring schools." Verrocchio excelled at placing his figures amongst ethereal architecture and landscapes. A century before landscape backgrounds were ratheer uninspired and stiff. Sarah Tytler, author and historian, explains" Landscape-painting did not exist farther than that a rock or a bush, or a few blue lines, with fishes out of proportion prominently interposed, indicated, as on the old stage, that a desert, a forest, or a sea, was to play its part in the story of the picture. So also portrait-painting was not thought of, unless it occurred in the likeness of a great man belonging to the time and place of the painter, who was the donor of some picture to chapel or monastery, or of the painter himself, alike introduced into sacred groups and scenes; for pictures were uniformly of a religious character, until a little later, when they merged into allegorical representations, just as one remembers that miracle plays passed into moral plays before ordinary human life was reproduced. Until this period, what we call dramatic expression in making a striking situation, or even in bringing the look of joy or sorrow, pleasure or pain, into a face, had hardly been attained.